As school is about to start, it is time to start thinking about your spending habits. In recent years, the use of credit cards has declined drastically among college students. 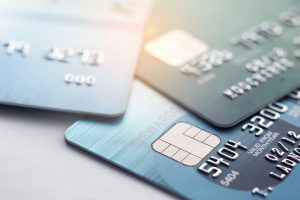 Although there is a negative stigmatism surrounding the use of credit cards, they are essential to building up your credit score. Shop for credit cards designed for students. Not all cards are created equal. Similar to how campuses offer debit cards for students, you should be shopping for credit cards. Students on average, do not have a very high income and therefore cannot afford a typical credit card designed for the working adult. www.nerdwallet.com/creditcards/compare is a great site to peruse the different costs and benefits of credit cards in order to find the right one for you. This point cannot be emphasized enough. The dangers of credit cards arise when people charge too much to the card. For example, if you have a spending limit of $1000, it does not mean you should spend the whole $1000 dollars. Try to pay your credit card off each month in full and pay the interest as well. Try getting in the habit of spending 10-30% of the spending limit or even less. If your spending limit is $1000, you should not be charging more than $300 on the credit card each month. Everyone has heard this before, but it’s easy to overlook its importance. Paying you bill even a day late, will lead to fees and dings on your credit. If this becomes a recurring habit, it can cause you to go into debt. With that said, make sure you’re also paying your balance in full. This will help lead to better credit scores. While it’s good to use your credit card to build up your credit score, you should not be using it for every purchase. Consider assigning tasks to your credit card. For instance, tell yourself you’re only going to use your credit card for groceries or other errands to avoid overspending.